We just heard about the YSL Street Art and Shock Eye Event collections, and now the label has announced another line, this time moving to the lips. The YSL Volupte Tint-in-Balm spring 2017 collection is scheduled to hit YSL stores, as well as online at YSL Beauty, Nordstrom, Sephora, Neiman Marcus and Bergdorf Goodman in February 2017. The lip balm at the center of this collection is like a dream combination between a hydrating lip balm and a luscious lip tint. It promises a long-lasting lip coat, as well as buildable intensity; this product comes as a response to the Volupte Tint-in-Oil, which was greeted by great success following its recent release. In many cases, it’s difficult to make choices between nourishing your lips and having a great bold color. These new lip color collections are made for breaking that decision, though, because you’re getting both in one. This time around, the YSL Volupte Tint-in-Balm contains nutrients like jojoba oil, coriander, macadamia oil, and extract from apricots, passionfruit, and pomegranate. So it’s a treat for your lips on top of giving them a great color! This group is all about hints of color. The balms in this list are sheer with a beautiful glow, all with hints of sparkle to keep things interesting. 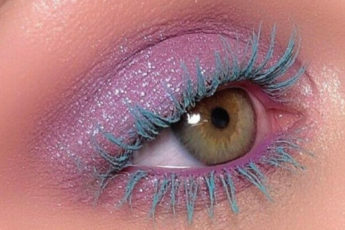 This category has all of the stunning vivid shades that will make you the center of attention. In four dazzling shades, these bright and bold colors are a great way to liven up your makeup look. Finally, this group of shades is all about intensity. These are the deep colors that can go sophisticated, seductive, or edgy really quickly (or so many other styles) depending on what you’re wearing! Now, this product isn’t one of the lip balms, but a special, limited edition set of beautiful nail polish colors that was created to go right with the categories above. There are three shades (one for each set), and the polish formula is just as nourishing for your nails as the balm is for your lips. Altogether, this nail lacquer will be giving you a juicy nail coat with a beautiful shine, all in a shade literally made to go perfectly with your new lip colors!